On the bottom of the icy sea off Nantucket lies the battered remains of the Italian luxury liner, Andrea Doria. But few know that within its bowels rests a priceless pre-Columbian antiquity—a treasure that now holds the key to a puzzle that is costing people their lives. 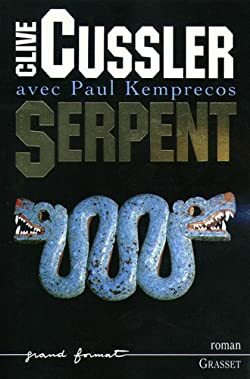 For Kurt Austin, the leader of a courageous National Underwater Marine Agency (NUMA) exploration team, the killing begins when he makes a daring rescue of a beautiful marine archaeologist. The target of a powerful Texas industrialist named Halcon, Nina Kirov was attacked off the coast of Morocco after her discovery of a carved stone head that may prove Christopher Columbus was not the first European to discover America. Soon Kurt and Nina embark on a deadly mission to uncover Halcon’s masterful plan—an insidious scheme that would have him carve out a new nation from the southwest United States and Mexico, and ride to power on a wave of death and destruction. With Austin’s elite NUMA crew attacking the murderous conspiracy from different sides, an extraordinary truth emerges; that Columbus may have made a fifth, unknown voyage to America in search of a magnificent treasure. And that the silent, steel hull of the Andrea Doria not only holds the answer to what the explorer may have found—but the fate of the United States itself.